For those who've never tried MAC lipsticks and have heard of their distinct scent, yes, they do smell like vanilla cupcakes. Ngghh. 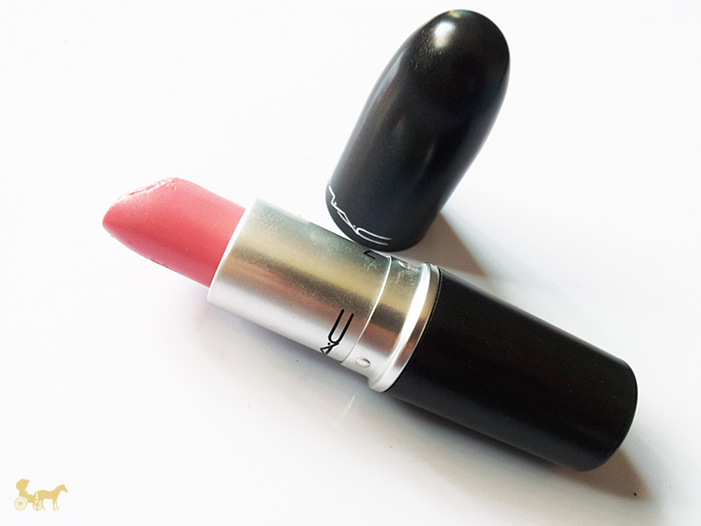 My one and only MAC lipstick is finally getting some screen time on my blog. 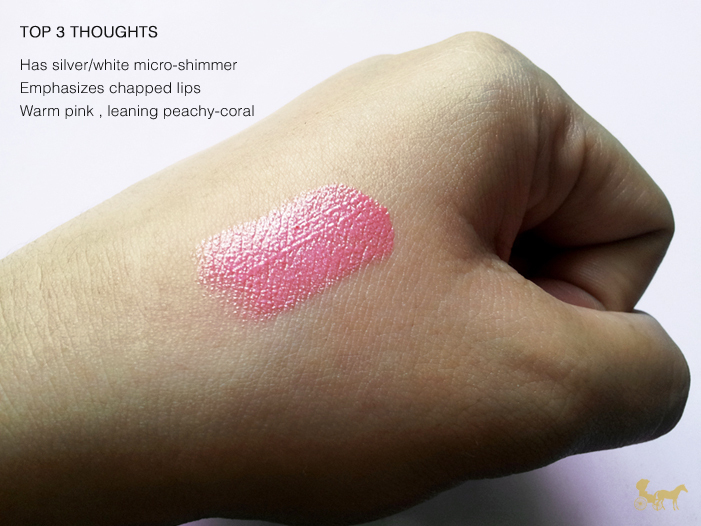 This light warm peach-coral is a cremesheen formula called Sunny Seoul. I confess that the cute name is what prompted me to get it. Other than the name, I thought the color would work well on my skin tone and hair color at the time (black-brown) but it seems to look slightly odd with my bleached hair now. Or I might just be overthinking it. Because it has white/silver shimmers one would think the texture to be gritty but that isn't the case here. The shimmers don't compromise the "creme" texture of it. In fact I don't feel the shimmers at all. The lipstick is indeed creamy but a little draggy and tiny bit waxy in my opinion. It stays on for at least 2-3 hours with light (conscientious) eating and occasional drinking, it is a cream. I found that my lips tended to get drier as the hours passed. According to reviews this seems to be the case with this particular formula of MAC. 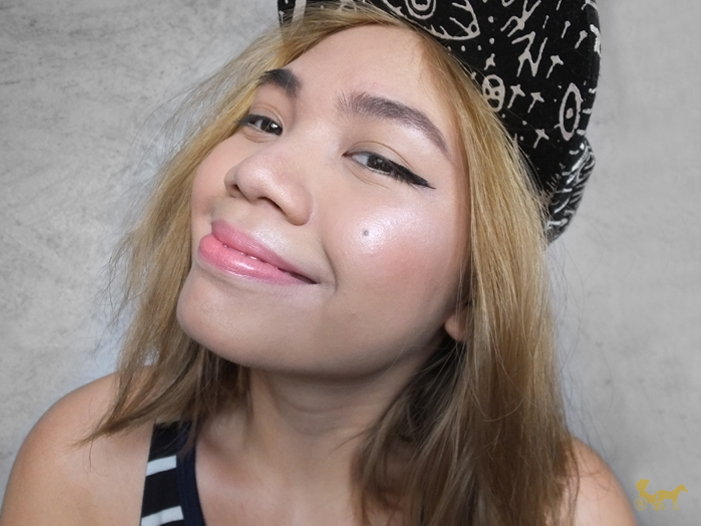 Here I am wearing it with a straight winged liner and again tons of highlighter. I only tapped the lipstick and then blotted a little to make it look little more natural. Compared to the swatch on my hand it appears a little lighter on the lips when applied full-on even before blotting. I quite like the slight sheen it gives making my lips seem moisturized and soft. It retails for around Php 1000 here ($23 - $24 depending on the exchange rate and where you get it), a big amount when compared to the US price (~$17) as is the case with most imports. So I suggest buying online from sellers or personal shoppers. That concludes my review. 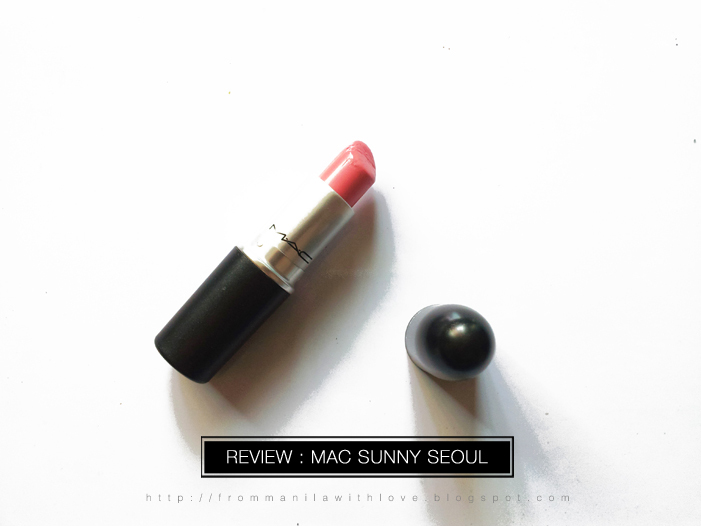 Have you tried any MAC lipsticks? What are your thoughts on MAC cremesheen lipsticks? Ps. Made this review prior to coloring my hair the colors of the rainbow. Looks similar to Crosswires, except when on the lips na :-) and yes, love the vanilla MAC scent! Yes! I'm eyeing some nudes. What do you think> Velvet Teddy, Mehr, Japanese Maple, Patisserrie, Shy Girl, Freckletone, Honey Love or Flesh pot? I don't have any of them yet, but definitely eyeing on Velvet Teddy, Mehr, and Patisserie! ;) Thanks for dropping by! What a beautiful shade! I love MAC and wear their lipsticks more often than any other. I haven't tried this particular shade yet, but really want to, as rosy shades are usually my best bet when it comes to pinks. I just bought MAC's Party Line for the first time a few weeks ago and am smitten with it. If you like pink with just a hint of burgundy in it, I highly recommend that shade. Big hugs & many thanks for your lovely comment on my "I woke up like this" post today. Have an awesome weekend! That's a super cute and fun color! I would totally wear that shade this summer. And I also love the vanilla scent of MAC lippies. Vanilla is LOVE! Same here!!!! Parang Nicki Minaj esque pastel pink pag super full on. Hahahah Thanks though. Just the name of the lipstick makes me want to get it!! 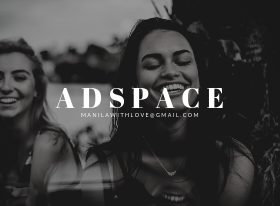 Would you like to follow each other's blogs? I really like yours! Love the shade! I have one cremesheen in Lickable, so far okay naman din :) I'm still waiting for two order of MAC lippies by end of the month, excited! Hahha sige!!!! 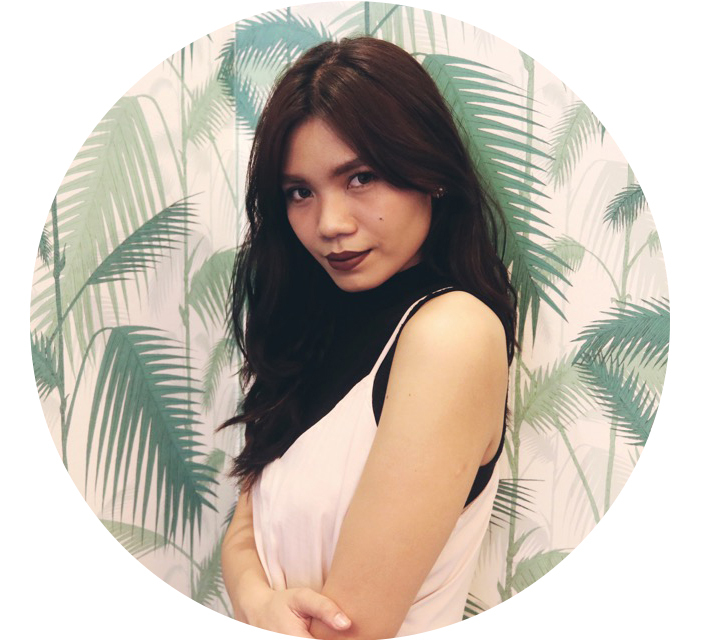 Magkita tayo :)Let's swap makeup or something. I really really love the color of this lipstick. I almost got mine but then I was hesitant if the color would suit my lips. Thanks for the review CJ!